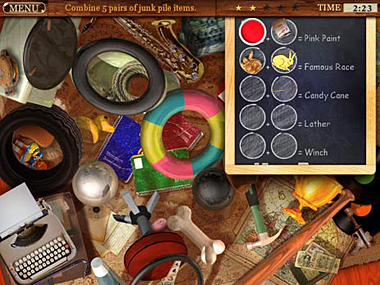 The attic is full of bits and pieces, like a safe, a broken television and a bookcase, and each one of these 16 objects trigger a series of four memories plus a mini-game. Each memory is in a different location, like the family BBQ or summer camp and even the bike shop. And after each scene you receive a keepsake like an old photograph for your scrapbook, which tell a cute story or reminds you about a blast from the past. 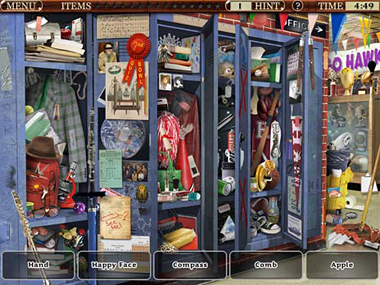 In each scene of Little Shop – Memories you look for 15 items on your list, although you only need to find 10 to move on to the next scene and the remaining five items earn you gold stars. 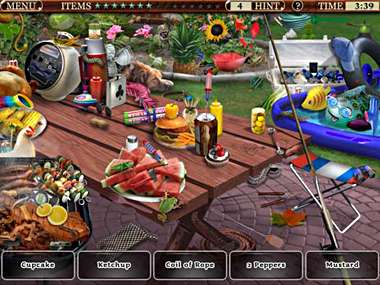 The hidden object scenes are packed with original power-ups, like a thermometer, which indicates hot/cold when you are getting closer to an item on your list or a special camera, which gives a quick flash and shows you where all the items are located. But beware; every scene only has two cameras and two thermometers and once you’ve used them up they are gone from the scene, which you will revisit throughout the game. Fear not though… should you need additional help you can always click on the “hint” button, which creates a sneak peek at the item rather than pointing out to its actual location. And, throughout the scenes you can find “?” marks, which charge your hint counter and carry over to the next scene. The mini-games after every four scenes are easy enough but unique and still good fun. Some are matching items, like jewelry or pieces from the junk piles. Others moving items back to the bookshelf or their rightful place in the toolbox. Once the mini-game has been completed it provides the next set of keepsakes; for instance, restoring a vintage photograph gives you the combination to unlock the safe and move on to the next stage. Another great feature is the Blitz mode, which you can try after completing the regular mode, where you get the complete list of 70+ objects for each scene (rather than coming back to visit five times) and you need to find them all as quickly as possible. 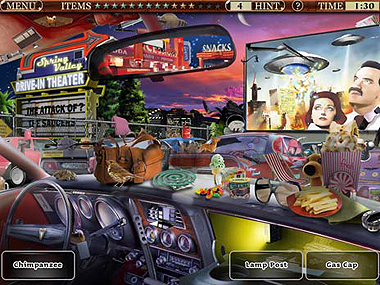 With 60 regular levels, an incredible amount of detail in each scene and unique gameplay, Little Shop – Memories really is a great hidden object game. Enjoy not only the fun games but also the scrapbooks and trophy room where you can collect souvenirs and memories. Download and play Little Shop – Memories for FREE! please get this crap off of my compputer. I’ve tried several times, but have been not been able to. I’ll expect an email from you immediately stating that the matter has been taken care of! I love my kids, I have a new grand child and she is growing so fast and I have three dogs, two cats, one bird.. I Loved it, great game. I love hidden object games. On a scale of 1 to 10 this is a 9….. definetly one of the better ones it wasn’t dark like most, and wasn’t impossible like some. I liked it. I am a little on the slow side so this should be lots of fun. Thank you. Looking forward to playing, thank you! I am anxious to play this type of game.